That painful “Loading….” message you might have seen when you’re selecting contacts on Flickr? A thing of the past. and select contacts on Flickr. 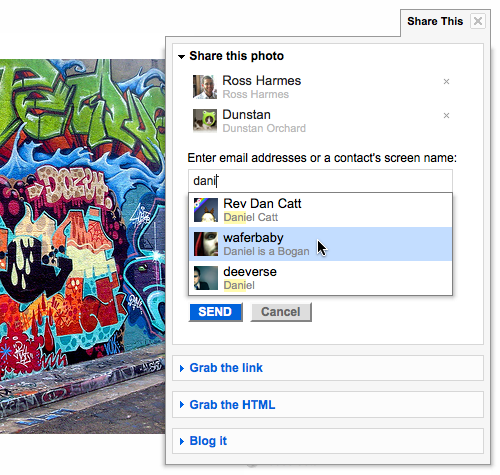 You’ll notice a new people-picker in the Share This dialog box, when addressing a new Flickr Mail, and when searching your Contacts List. Members with thousands (even tens of thousands) of contacts can now find a specific person without any noticeable delay. So, go forth and play with the pretty Flickr people-picker. Hej, Swedish National Heritage Board!